Having an online business presence is a win-win situation. It is the easiest way to get the attention of the audience. If you have an online website, the consumers can choose from a wide range of product and services provided by you. As a result, you would be able to drive sales without following a long-term process. If you want to get success in your business in a short time period, you should consider hiring a web developer. According to the current situation, people prefer to buy products and services by using online websites. To be updated and get maximum output from your business, you should have a high-quality site. Developing an elegant website involves a lot of things such as coding, plugins, images and several other important things. An eligible web developer will give your site an attractive and appealing look. The rate of smartphones and tablets users has increased. You should make sure that your website has been designed in such a way that it gets compatible with the screen of all sizes. If you will have a separate website for both desktop and mobile phones, you will have to spend a lot and it can be an unmanageable task. A web developer can create a website that would be responsive in nature and suitable to fulfill your business goals. A quality website can help you stand ahead of others who are competing with you in the industry. With the help of a professional web developer, you can be assured about your online success. Generating revenue will not be a difficult task for you and you would be able to get a competitive advantage over your competitors. If the speed of a website will slow down, it will just end up without losing customers and getting authentication on search engines. There are even chances to lose potential business and you may have to face a huge loss in business. When you will have a certified web developer who knows how to use plug-ins, you can have a faster website with enhanced security. The website which can be accessed easily can save a lot of time. Appointing a web developer will less experience will have an adverse effect on the performance of your website. 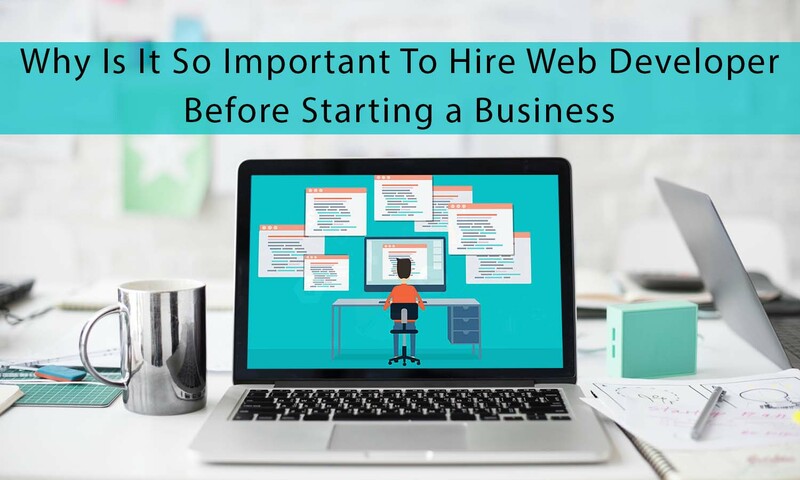 If you hired a professional web developer, it can be easy for you to save your time and focus on core areas of your business. the first impression of a website. It simply means that the appearance of your website is quite crucial. When the appearance of a site would be greatly integrated with the required set of features, the visitors will try to visit your site again and again in the future. When the website will look boring and ordinary, users will go to switch to some other websites delivering similar services. People always want to choose a well-known and trustworthy service provider. A website that doesn’t meet the business expectation, users don’t trust them usually. A professional web developer can integrate the right set of features to your website. By their help, you can build trust among users. Getting a nice and functional website can draw the attention of more clients to your business. When the website look will be appreciative, people will feel comfortable interacting with your business. Technology is changing every day and people are getting adapted to it. The businesses who are focusing on getting an effective online presence and want to keep the track on the trend should hire a web developer. After doing that, you would be able to survive in tough competition and make your business grow. Bryan Lazaris is a business owner who understands hiring a web developer is the best decision. He knows what kind of advancements are required for a website to be profitable. Being an experienced person, he loves to share his in-depth knowledge with the people who are struggling with their business and wants to improve their status.